Berlin is a city made of puzzle pieces, a mosaic of multitudes. Its irresistible charm and the distinctive difference is made of the people that shape the city culturally. A Berlin without its cultural diversity is not only hard to imagine – it just wouldn’t even be as interesting probably. The contributions of inhabitants from all over the world helped to form a colorful kaleidoscope of ethnic elements. I could go into some history now, explaining the Foreign Policy of Germany, how in the 1950s and ’60s, Germany invited guest workers to work in Germany and help with the economy. But I won’t. I will invite you to take a look at the present, cause as we know: the present is a gift. And if you look around today in Berlin, you’ll see it’s a gift that keeps on giving. You see Poland, you see Vietnam, you see practically every country in Berlin. Be it in the food you eat, the Yoga Studio you frequent, the store where you buy your vegetables. The luxurious freedom to get the best of countless cultures is the main point for me to why Berlin is so comfortable to live in. We want to take a closer look at the possibilities and present to you the manifold ways of experiencing Berlin. Today: The Turkish Edition! There is a world beyond Hasir (which we also love)! 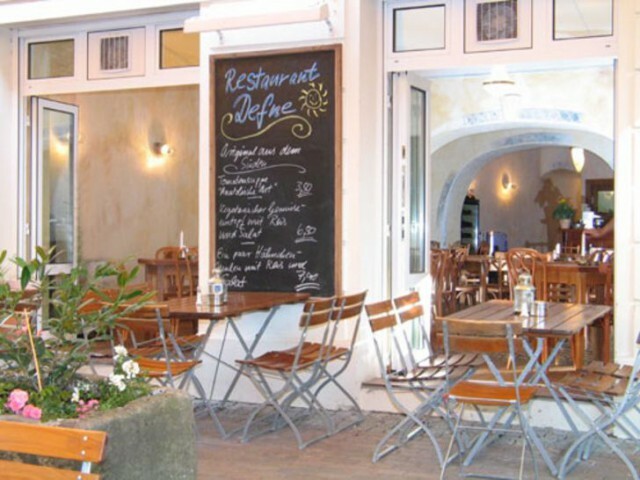 Defne is a wonderful, romantically arranged restaurant with a catching cuisine. Their vegetarian options are being transferred from heaven directly into your stomach. At least that’s what I believe. You should definitely try the various meze (turkish: appetizers) and their home made mantı, little ravioli-like dumplings filled with meat or vegetables and served with yoghurt sauce. In the summer you can sit in the beautifully made garden with a view to the canal. We don’t know what the daughters of Osman would have liked the most of the menu. 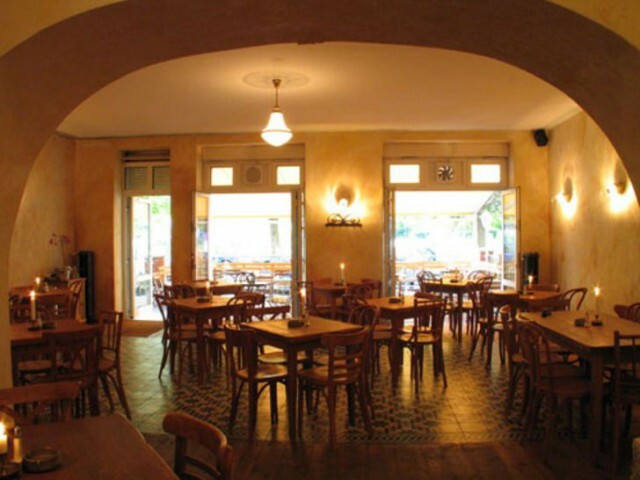 But they would probably be pleased about the fact that next to the top notch chef, turkish housewives (the top notch chef’s of home) work in the kitchen to put together good, authentic turkish cuisine in the midst of Prenzlauer Berg. The stylish interior is another eye-catcher and lets the food taste even better. “Osmans Töchter”, Pappellallee 15, 10437 Berlin. Opening hours daily, 17:30h to midnight. One of the top ingredients of oriental cooking is the name of the following deli chain. “Knofi” is a German shortcut for garlic and you can get the taste of it in each one of their three bistros. When entering the restaurant it always seems like a bit too much at first. So many spreads, so many olives, garlic cloves hanging from the ceiling, cute little chairs and details and nice music. A bit like Alice in Wonderland you slowly discover all the great options with the daily menu. Take your time and drink a nice turkish çay first! Certainly even the Mad Hatter would have to drink a tea before he could make his final food decision. “Knofi”, Bergmannstraße 11 and 98, 10961 Berlin. Opening hours Mo-Sa 9h to 23h, Sun 11h to 23h. “Knofi” Oranienstraße 179, 10999 Berlin. Opening hours Mo-Sa 9h-23h and Sun 14h to 22h. 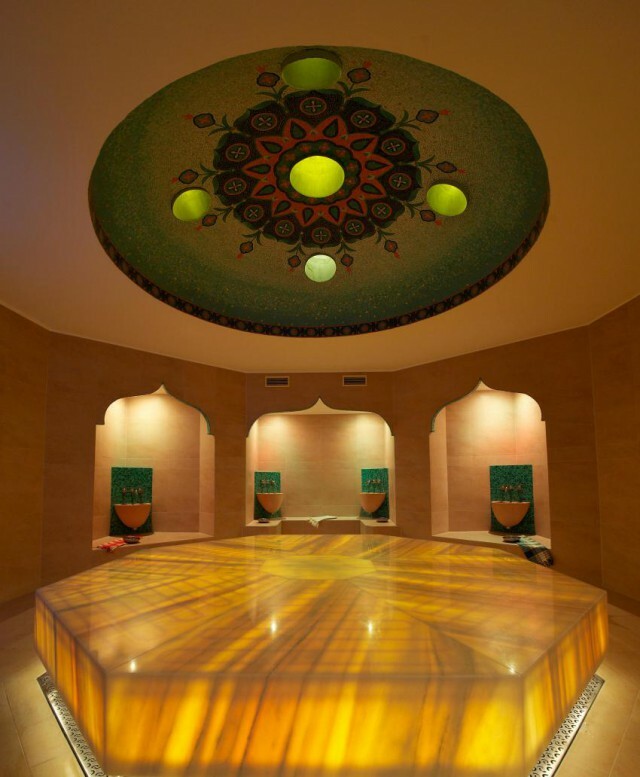 After you’ve had a fantastic meal you could take a trip to a hamam, a Turkish Spa so to speak. Historically, the hamam took an important role in social (and maybe even political) life. Nowadays it still does and serves as a nice spot to go with friends, get really cleaned and relaxed. Here are two options to get your clean on. Opened up in 1988 as Germany’s first hamam, the Schokoladenfabrik in Kreuzberg is only for women. Sorry guys. 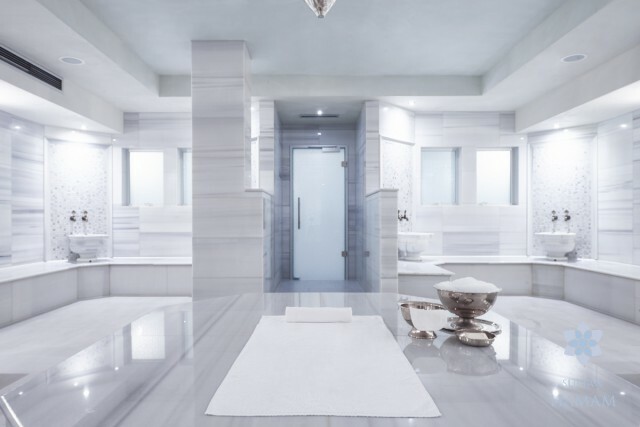 But if you are female: grab your lady friends and get to this amazing spa asap. In a warm atmosphere you can buy the traditional peeling gloves called kese, sweets and tea at the front desk and book massages. In the main room, there is a heated stone where you can put your towel while washing or sweating in the sauna. 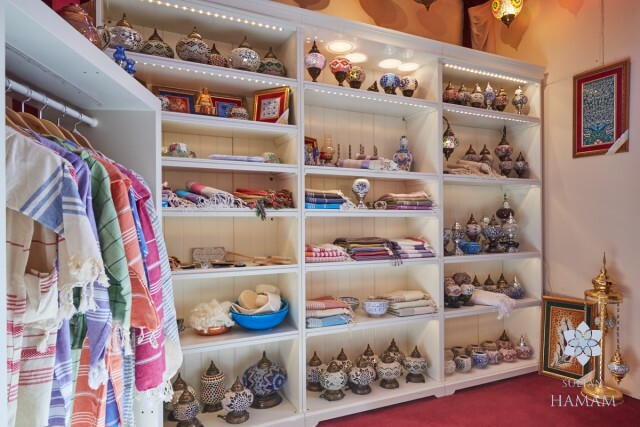 Since the owners want to maintain a cozy atmosphere, they will tell you if the hamam is too crowded. Make sure to call first and ask if it is too full or if it’s a good time for you to come. “Hamam – Das türkische Bad für Frauen in der Schokoladenfabrik”, Naunynstraße 72, 10997 Berlin. Opening hours: Mo 15h to 23h, Tu – Sun 12h to 23h. Ok, don’t worry guys, we would never let you down. Since the Hamam in Schokoladenfabrik is strictly for girls, we want to include you in our spa options and give you a very good alternative. The Sultan Hamam is an insider’s tip hidden in the realms of Bülowstraße. On Mondays the hamam has “Herrentag”, so only men can use the hamam. Tuesdays to Saturdays the women are in charge again and on Sundays both men and women can benefit from the ancient cleaning techniques. You can book massages and rituals like peeling and lathering where professionals soap you the Osman way. Or get cosmetic treatments. Or go to the sauna. Or buy beautiful spa utensils at the shop. “Sultan Hamam”, Bülowstraße 57, 19783 Berlin. Opening hours: Mo (Men only): 14h-23h, Tue – Sat (Women only) from 09:30h to 23h and on Fri and Sat until midnight, Sun (Mixed) 11h ot 22h. By the way, to complete the feeling, you should absolutely go to one of the many local barber shops and get a fierce beard cut or your eyebrows plucked! Just look around and see which one you’d like to go to. There is just too much art in this city, from good music to theater to painters and poets. In order to not make this the longest article the world has ever seen we had to limit us. So forgive us, if we haven’t put your favorite artist in this section. But let us know in the comments below and we will put it in another article when the time is right! Here is still the tip of the tip of the tip of the iceberg of some talented Turkish creatives of Berlin. At this point a little shout-out also to photographer Ferhat Topal who is responsible for a fair share of the photos in this article! So while you are hamaming (surely this word doesn’t even exist) you need to read something, right? Thank god, there is renk.Magazine! 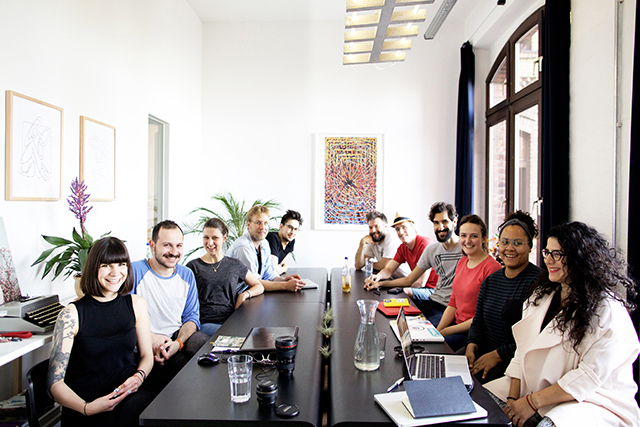 The web magazine keeps us in the loop of Turkish-German creatives and culture of all forms in Berlin with unique interviews and a strong web appearance while uncovering many clichés surrounding Turkish people. Their interviews are witty, on point and you can witness the cultural impact on society of living together the renk-way on their website. 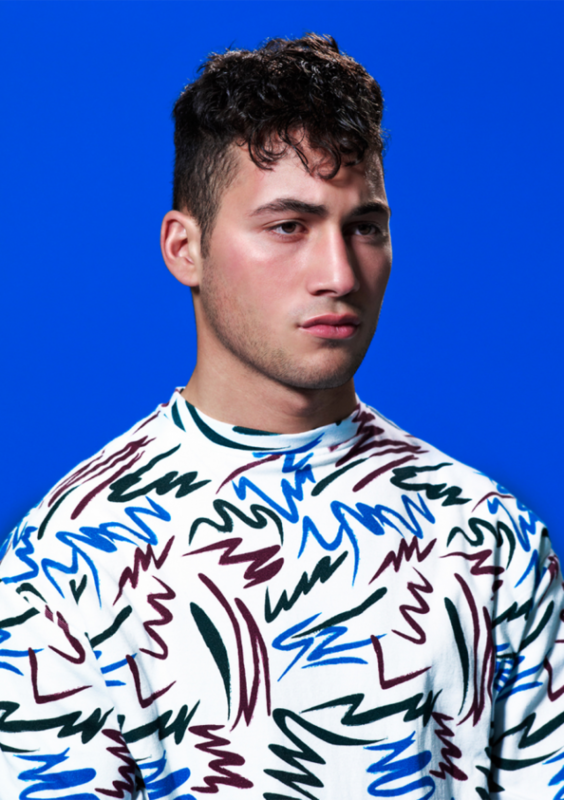 The lovely guys are also currently crowd-funding for their first print issue. Have a look at the amazing stop-motion video below that explains how the whole project came about. September Lion is the English translation of her name. The photographs she takes are quirky, graphical and often tinted in pastel colors. Catching unusual details and moments Eylül is the epitome of aesthetic. You can see her take on the world here and here. I like Ezgi Polat. Not only because she carries the same surname as me but because she takes beautiful photographs that we even curated for our #berlin exhibition. 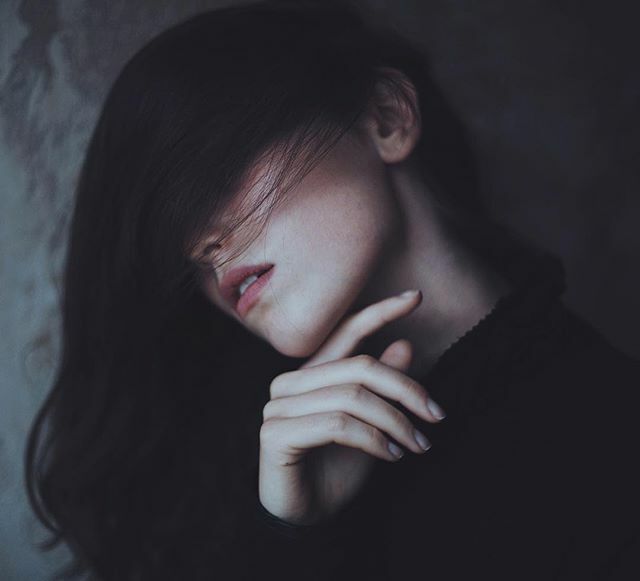 The Berlin-based photographer takes pictures of faces, skin, food, souls with a certain vulnerability that is as light as it is strong and shares her art on her website and with over 300.000 followers on her Instagram. There are not many people that create GIFs like Erdal does. The artist and photographer captured our attention not only with his recent Berlin Wall project and never ceases to amaze us. His GIFs and photographs are hypnotic with a strong message and you never know what he might be up to next. Check out his website or see him on Vimeo to get his latest art. Fashion is a universal language. A “german-born to turkish parents” as he says about himself, the 27 years old designer Serhat Isik already calls a fashion label his own. His collection “I don’t have any weapons” takes up elements of islamic apparel and deals with the demonization of Islam since 9/11. By including some elements of traditional islamic clothing, the designer invites us to open up a dialogue. 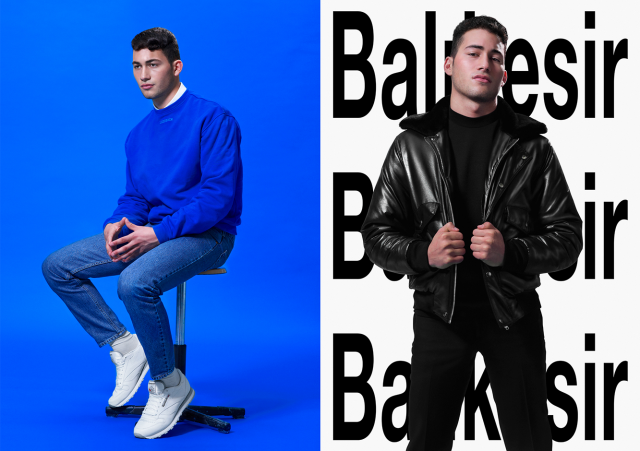 We love his work and clothing and you can buy his ready-to-wear-collection at Chrome Store, Lenaustraße 10, 12047 Berlin. Or check it out online. Berlin is in love with Turkish culture and of course we haven’t forgotten it: techno. When the two get together, a nuclear of love should form. We could write ten articles about the musical contributions by the Turkish to the capital. Erman Erim is one of them. With his melodic compositions he already played at Berghain, Weekend and many other clubs. Check out his homepage and his soundcloud. 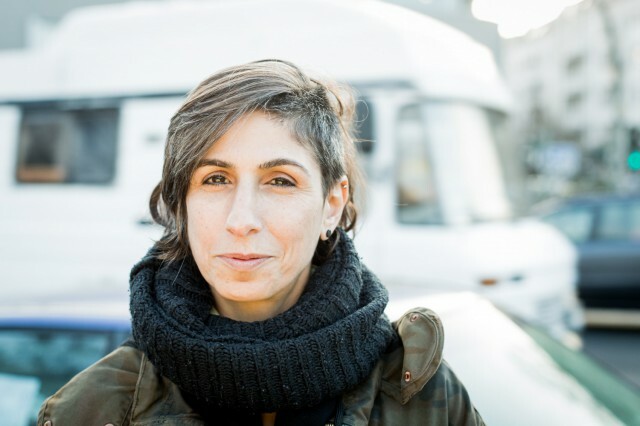 Just recently she was voted the ‘hippest DJane of Europe’ and there is nothing that İpek İpekçioğlu can’t do. Calling her music ‘Eklektik BerlinIstan’ due to her love to both Berlin and Istanbul, İpek has a very unique approach to both life and music. Check out an interview in German language with her here and her fantastic electronic music on her Soundcloud. 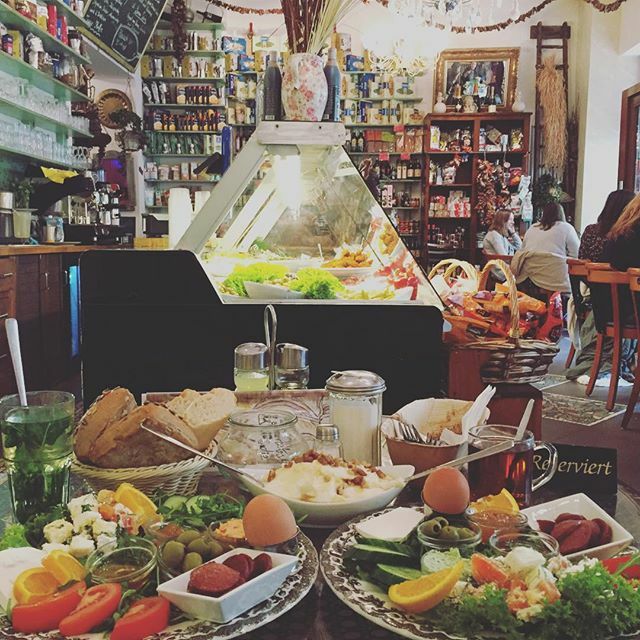 We hope that you were able to get some inspiration to experience Berlin the Turkish way! If you can think of any more interesting Turkish places and people feel free to share in the comments below.